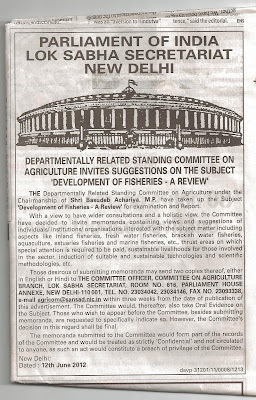 Parliamentary Standing Committee on Agriculture Invites Comments on Development of Fisheries. 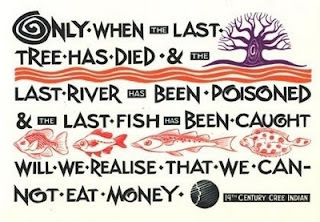 The comments must be sent within three weeks of June 12, 2012. 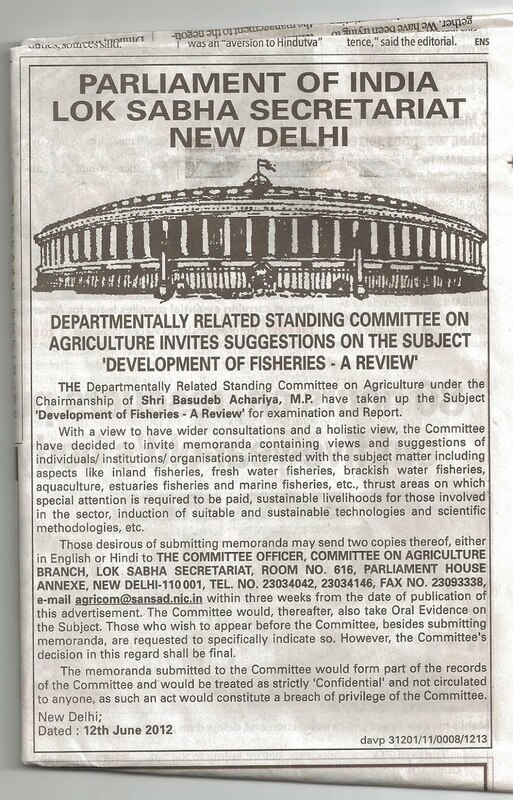 Fishermen from Alang beach, Bhavnagar, Gujarat should make their submissions to the committee.